Amazon does it in the USA, AirBnb does it in Germany, while Solvay and Orange do it in Belgium. More and more corporations are using coworking for their workforce. Why not your company? 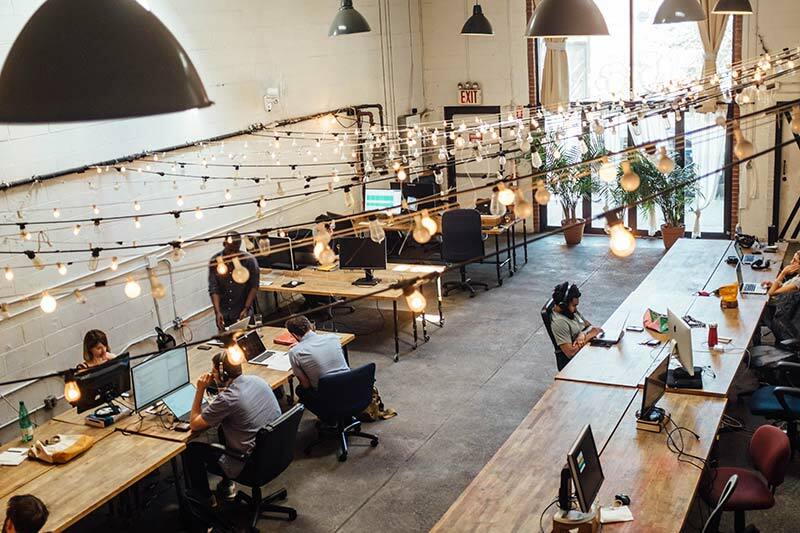 Far from being the preserve of freelance professionals and start-ups, coworking spaces are regarded by an increasing number of corporations as an alternative workspace for their employees. Their involvement is motivated by the two main advantages of coworking: flexibility and networking opportunities. Gregory Mestrone, Digital@Solvay Project Coordinator at Solvay, the Belgian company well-known in the chemicals and advanced materials sector, explained this further. For Gregory Mestrone, the opportunity for finding new partners is a huge advantage. “We are in the throes of a cultural revolution,” he says. “Ideas that are genuinely innovative are coming in from other ecosystems, and that’s why we have every reason to widen our horizons and seek out people to inspire us and with whom we can form new partnerships. This is a Win-Win deal: we can attract new skills that we don’t have in-house for working on one-off projects. On their side, freelancers and start-ups are more than happy with the temporary working relationship format. They don’t want to be “stuck” in permanent contracts, because what drives them is building up as much experience as possible while working project by project.” Gregory Mestrone regards coworking spaces as an ideal hunting ground. “You are working side by side with different people, you can share your queries and solutions, and you can chat together over a cup of coffee. Every time you do this, there’s a chance you could make at least one new interesting contact.” Another success factor lies in the way the coworking space is run, and the Charleroi centre is managed in a way that is extremely dynamic and collaborative. Another advantage of coworking spaces is the possibility to work close to home rather than endure a daily commute to a company office. “I live in Chapelle-lez-Herlaimont, and it takes me over an hour to get to the Solvay offices at Neder-over-Heembeek,” he says. “By contrast, Switch Coworking Charleroi is only 12 minutes away from my house. If I don’t have a meeting that requires my presence at head office, then it’s easier for me to work from home or to go over to Switch. Another plus is that I can use my breaks to do some networking.” Gregory Mestrone also emphasises that such flexibility helps with employee commitment through cutting down stress and creating a better work-home balance. Corporations like Solvay view coworking spaces as a new form of contact point with their employees, being closer to their homes yet at the same time encouraging them to network and seek out new partners. But this is one of a several points of contact, Gregory Mestrone points out. He tries to go to his at least one day every fortnight, mainly for networking. This experiment is borne out by Factory Forty’s statistics. Thanks to their new contacts, our coworkers have increased their output by 22% on average and create 8 new long-term contacts. You too can join the Factory Forty ecosystem!